We have shown many knives here on these pages, some big and others are very small. The type of knife you should own really depends on how you are going to use your blade. We can go into this in other articles but what is important for all knife users is keeping that baby sharp and ready to use! Although there are others ways to sharpen a knife, the best way has always been with a wet stone. The problem is, unless you have been shown by an expert how to use a wet stone, you may be rather lost when it comes to sharpening. 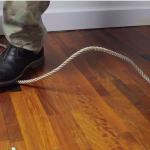 There are different techniques, some working better for knife carrying survivalists than others. 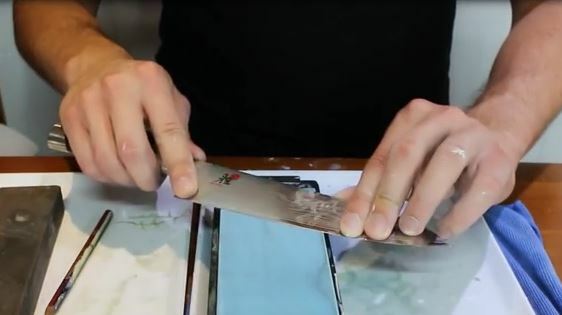 After the break go over to the next page and check out a video that not only shows you how to sharpen your knife but advises you on the best way to do it and what grit would probably work best for your blade! And we also get a short tutorial on how to keep your stone surface even and well maintained! It’s “WHET” stone. If you can’t even spell it, you lose most of your credibility. It’s called a whetstone. Not a “wet stone”. Every article is click bait on this site! When I was a child I remember watching my Daddy use a wet stone to sharpen Mothers knives.